Please note: This bonsai blooms annually during April and May. Anniversary, birthday, new baby, or just because, our popular Satsuki Azalea Bonsai sends your best thoughts for absolutely any occasion. 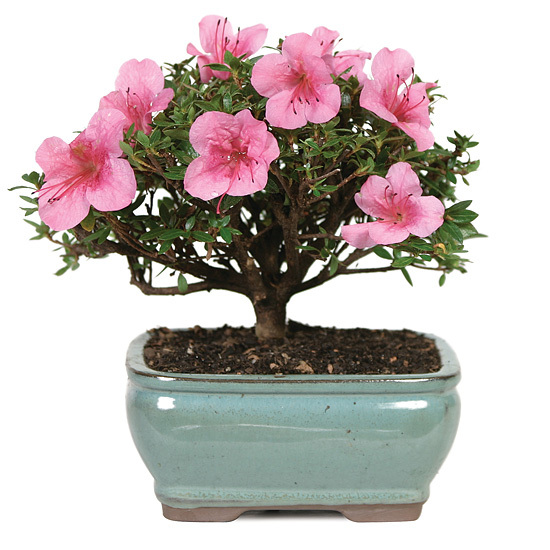 The miniature tree, a variety that has been grown in Japan for centuries and produces generous quantities of bright pink blossoms, is shaped to perfection and planted in a light green ceramic cachepot. We will ship a three-year-old plant with complete care instructions.